Recent studies have found an enhancing effect of anticipating rapid versus delayed feedback on performance. The purpose of the current study is to further investigate if and how beliefs about intelligence moderate the effects of anticipated feedback proximity on test performance using a 2 (anticipated feedback proximity: rapid or delayed) x 2 (beliefs about ability: malleable or fixed) between-subjects laboratory experiment, in which verbal and numerical reasoning problems were used as experimental tasks. In addition to actual performance, the main dependent variables included self-report measures of task effort, enjoyment, and involvement. The results show that incremental beliefs about ability, relative to entity beliefs, improved performance on word-anagram problems. However, beliefs about ability did not affect performance on numerical reasoning or sentence completion problems. Participants anticipating rapid feedback relative to delayed feedback were less anxious about the tasks. Nevertheless, anticipated feedback proximity did not significantly affect actual task performance. Lastly, counter to the hypothesis, there was no observed interaction between beliefs about ability and anticipated feedback proximity on task performance. Chang, Joanna, "Evaluate Me: The Effects of Anticipated Rapid Feedback and Beliefs about Ability on Performance" (2015). 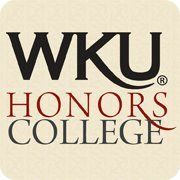 Honors College Capstone Experience/Thesis Projects. Paper 586.